Due to our break we have a bit of catch up to do. 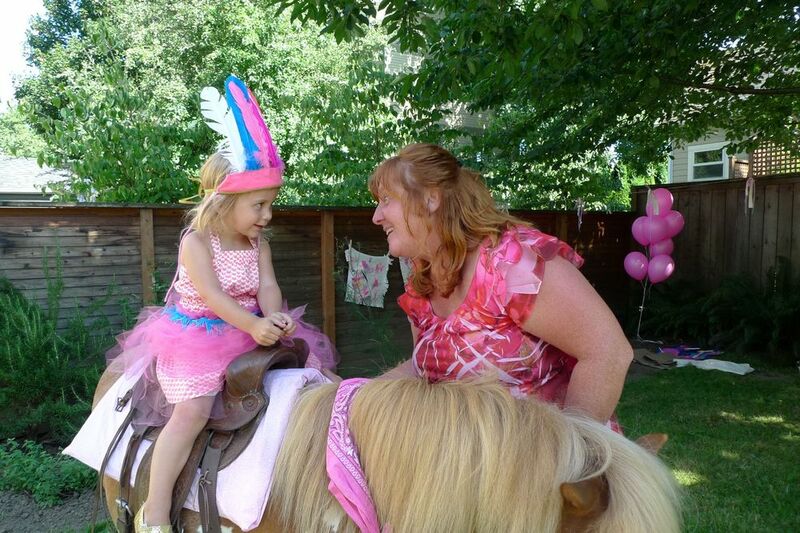 Let's go back in time to late July when the sun was shining down on the green grass and the little miss turned three. 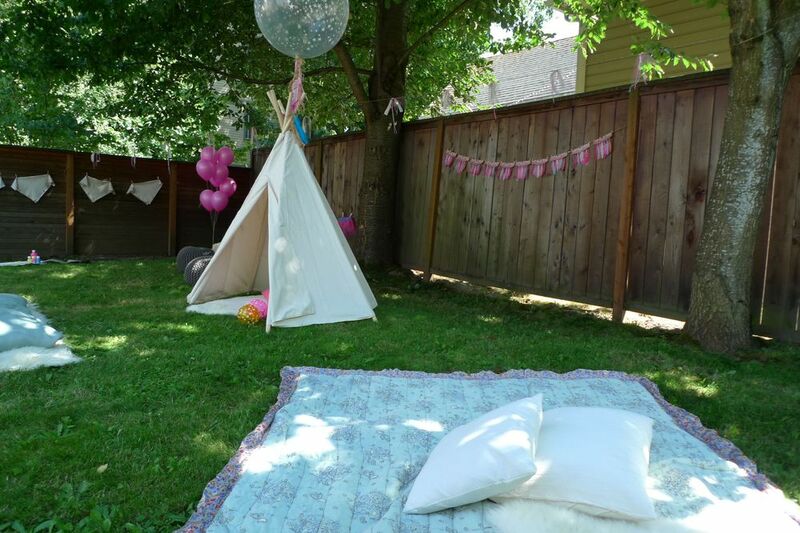 Our neighbors let us throw her a party in their yard which was just the perfect space. The party theme? Well, many moons ago I found these vintage play headdresses at a flea market. I loved the bright, almost neon pink and turquoise feathers. When I found a canvas teepee at an irresistible price, imaginary fireworks went off in my head. I knew just what to do for Clementine's birthday- a teepee tea party! I love details. In order to avoid that last minute crazy, unorganized, can't get it all done in time feeling I mastered the art of list making and scheduling. I had a vision and it would take some planning. First, the tea party idea. Clementine loved having tea parties. I came across some vintage melmac, ridiculously pepto-bismol pink, tea cups and knew what to do. It was hot and clearly I was not serving tea. But a cupcake in a tea cup? Yes! There were only four cups (I like small parties!) so when I baked the colorful layers of the birthday cake, I made four extra cupcakes. I took them out of the paper, placed them in the tea cup and piped on the frosting like a frothy latte or a steaming cup of cocoa topped with whipped cream. 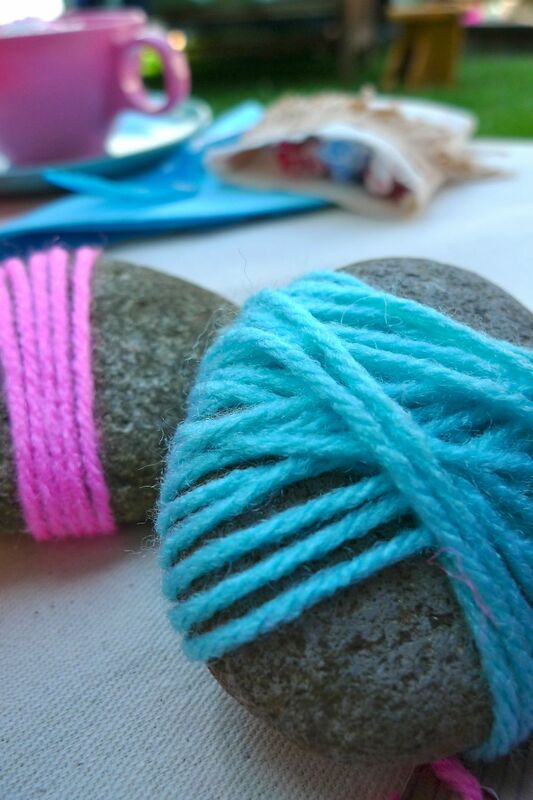 They were very fun and it would allow me to set the table with the 'tea party' all ready to go. Pink lemonade was served in mason jars that we drilled holes in the top of the lids to fit a neon straw. A little burlap, raffia, and name tag and the kids would know where to sit and there would be no question as to whose drink was whose for the day. I had some suede-like fringe and decided to quickly whip up small muslin treat bags for each place setting. A very small treat of a lollipop and a few smarties were inside. The decorations were simple. One giant balloon hung over the teepee with some fringe and feathers tied to it. I used tiny clothespins to hang all of my vintage toy headdresses on a twine line. They were my inspiration so I had to include them! I used that same twine to hang up the tutus. Then I made a sort of garland with pieces of torn muslin, neon yarn, and pieces of tulle tied in a knot on twine. It had a sort of child-like, crafty, natural feel. 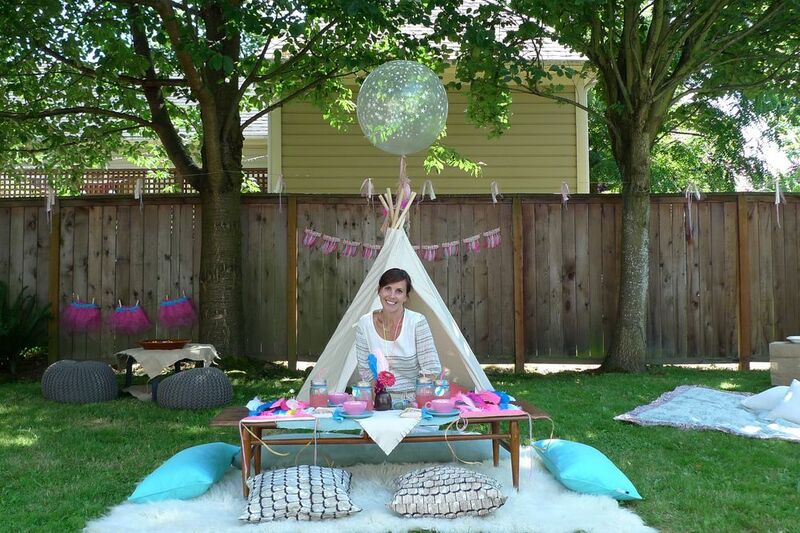 I set up the party in sections, almost like activity stations, with the focal point being the teepee and the table set for the 'tea'. I had the flokati rug in our storage and decided to use it to help define space. It was really fun and felt kind of luxurious to have that fluffiness set up on the grass. Our small slide was out for the kids, there were a few bright blow up balls, a small bunch of neon pink balloons, and a blanket on the ground with a small sheepskin and some pillows for hanging out. Activity one: Painting a Poncho. I cut plain canvas squares with fringe and put a hole in the center for the head. The kids could paint their own poncho with neon paint! Activity Two: Pink Neon Sand Sensory Table. I put some sea shells in the neon pink sand and had some shovels, funnel and a little bucket. Activity Three: Wooden Beads. A big bowl of colorful wooden beads was placed on a small table with some neon string and guests could make necklaces or bracelets. I really can't even begin to explain what a great activity this was! Every one, young and old, made something and wore it for the party. 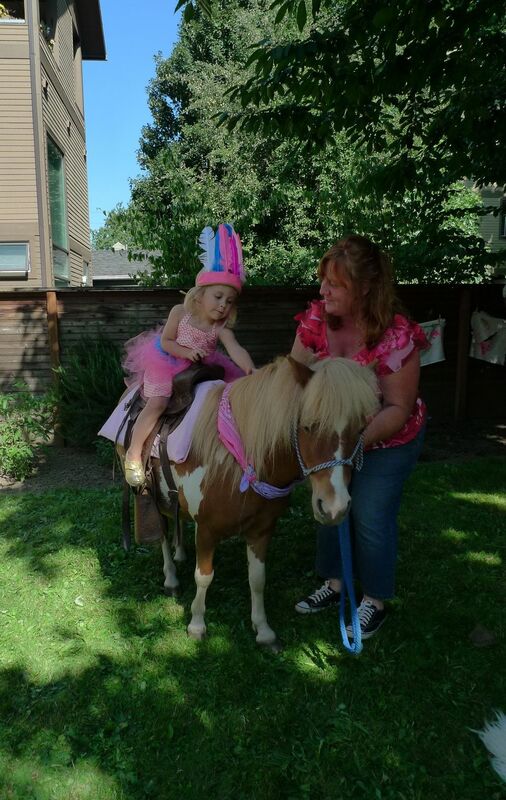 Activity Four: Pony Ride! I couldn't help myself. I waffled back and forth on this idea, telling myself, well, you're only three once. Then I talked myself out of it. In the last possible minute, I changed my mind and I am so happy I did because it was so GREAT! 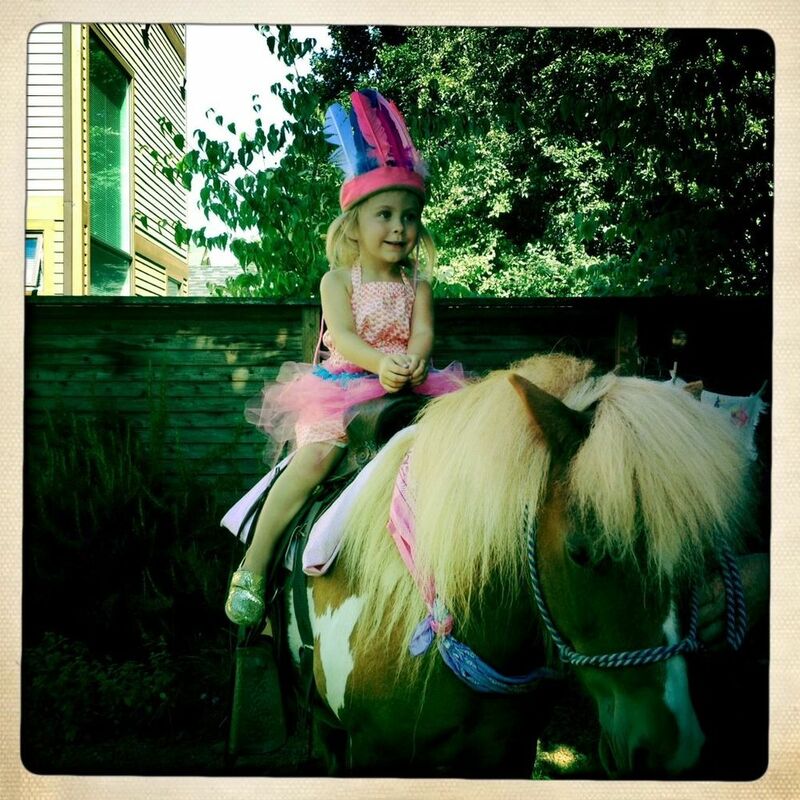 I mean, what teepee tea party would be complete without a pony? And the pony's name just happend to be PONCHO!! It was destiny. Kathleen McLaughlin, who owns Cisco and the Kid (503-701-9025), is absolutely amazing! A real live horse whisperer, not to mention child whisper. Truth be told, I'm kind of patting myself on the back for this one. It all came together just like I envisioned. The best part is that it never felt too perfectly orchestrated, it had a very home-made, organic, laid back flow to it that was fun for both the kids and the grown ups.